Synthetic oil is oil that is made artificially. This is in comparison to the regular oils that are made from crude oil that exists naturally. However, synthetic oil comprise of carbon compounds just like the natural or regular oil. It lacks contaminants such as paraffinic waxes present in regular oil. They include the polyglycol fluids, silicones, esters (diesters and polyolesters), polymerized alpha olefin (PAO). PAOs include Olefin, polymers of Olefin and Oligomers. The other class of PAOs is the polyalphaolefin. 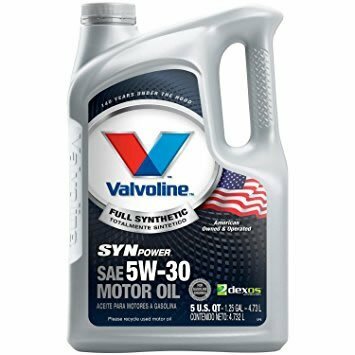 To find out which is the best synthetic motor oil, take a look at our review of the best 7 available. The process of making these oils is known as Fischer-Tropsch. The synthetic oils are manufactured from raw materials, including carbon dioxide. Other raw materials include carbon monoxide and methane. Synthetic oils are made starting with base stocks. These stocks are spiced up with additives to give them specific properties. Synthetic oils have been applied as jet engines and aircraft fuels. In World War II, German produced synthetic oil after it was prevented access of crude oil, and it was noted that they had better mechanical abilities than the mineral oils derived from crude oil. Engines would operate at a higher temperature, for instance. Application of synthetic oils has expanded to other engines such as motor vehicles, motor cycles and generators. They are used as gear oils, lubricants, fuel, as fire resistant fluids, and as greases, among other applications. Synthetic oils lack pollutants such as Sulphur compounds that cannot be extracted during processing of crude oils during refining of mineral oils. This means that it is not as polluting to the environment as is the mineral oil. Other pollutants lacking in synthetic oil and which are present in mineral oils include Nitrogen and paraffin. These, together with sulfur, cause the refined mineral oil to be thicker and flow poorer than synthetic oils. In addition, molecules making synthetic oils do not break easily at very high temperatures, meaning that engines using these oils will still run comfortably at these temperatures. This is in comparison with the mineral oils derived from crude oil, whose molecules break easily at very high engine temperatures because of presence of contaminants aforementioned. 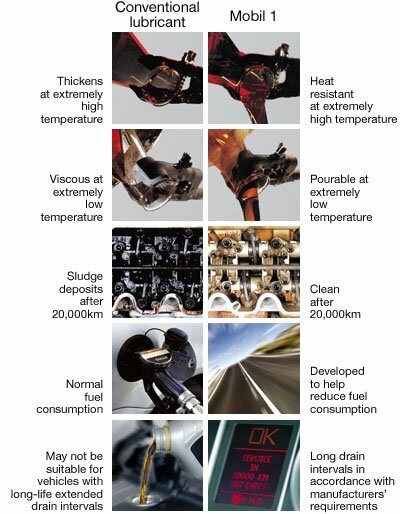 Engines using synthetic oils do not experience as much wear rates as those reported in engines using refined mineral oils that are made from crude oils. This is because crude oils contain contaminants that produce sludge and other by-products as they breakdown. This sludge is responsible for the wear. Such contaminants that form the sludge include sulfur, Nitrogen and paraffin. It has been mentioned that synthetic oils comprise of regularly shaped molecules unlike refined mineral oils. The irregular shape of molecules causes more friction as they go over each other during lubrication. This means that use of refined mineral oils lead to reduced fuel efficiency. Such friction also consumes power-leading to more power wastages than would be experienced while using synthetic fuels. In addition, these frictions cause increased production of heat and more wear. Synthetic oils also help maintain lubricated surfaces cleaner and long lasting. They can be used for a longer period of time than refined mineral oils. Synthetic oils can also be mixed with mineral oils, are low toxic and can be applied where various materials have been used for construction. Synthetic oils record better shear, oxidative and hydrolytic stability than mineral oils. They also record a higher viscosity index and can operate at a wide range of temperature. They also cannot swell elastomeric materials. This property is known as seal compatibility.